Golf City Karachi is designed after the amazing Emirates Hills Dubai which adds to the luxurious living standards in Karachi. Bahria Golf City Overseas block offer residential plots of 500 yards, 1000 yards and 2000 yards as well as luxury homes of 500 yards and 1000 yards. The bookings are offered on first come first served basis, and limited stock is available for booking which is open only for Overseas Pakistanis. Payment currency is set in USD, which starts from USD 98K for 500 yards plot. This is also an excellent way to increase foreign currency reserves of the Country. The payment plan is quite flexible i.e. 4 years installment plan. Note that last date of booking is 9th February 2015. 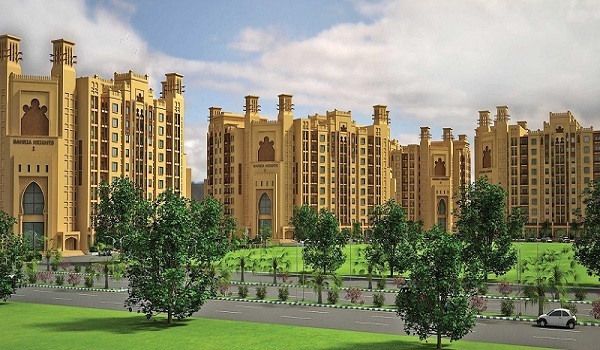 Booking forms can be downloaded from Bahria Town’s Website and can be submitted as per instructions given on the form. USD 75 as non-refundable processing fee has to be submitted along with application and down payment.